What is BUSEXPO and who are we? In 2012 a strict budget paved the way for a flow of requirements considerably influencing community transport, too. The deadlock in public services was broken and radical transformation has taken place in the sector since then. As to the then objectives and plans, the development of a cost efficient structure and the overhaul of the vehicle fleet of community transport services were clearly set as the goals to be achieved. The same year saw the adoption of a new act on passenger transport services, which took into account the capacity of both the society and the budget, while it focused on actual services. In the next period emphasis should be given to the elimination of financing constraints and the transformation of the structure of local and interurban community transport services while community transport in the capital should also be grounded on new bases and be modernized. These are the changes that have given rise to the need of the development of a platform or social utility where the manufacturer, the dealer of vehicles, the sales representatives dealing with related products and services as well as both state and private bus service providers and even the passenger may meet and exchange information based on professional aspects. The declared objective is building links in the entire bus segment as well as unifying the interests of manufacturers, dealers and service providers. This is the common interest which is given preference by the BUSEXPO exhibition each year and which has provenly merged the members of the profession in a true interest group of the profession. This year will be the seventh one when, simultaneously with the exhibition, the National Passenger Services Conference will also be held, which was initiated in 1995 by Federation of National Private Transporters – NiT Hungary, the main organizer of the independent two-day event, based on the information and consultation needs of the then profession of passenger transport service providers. Though initially organized in Visegrád, in the early 2000’s the trade conference moved to Budapest and became a one-day event due to changing requirements. After BUSEXPO had been brought into being, the conference also became a part of the platform the mission of which is reaching unity in the profession, giving authentic information and encouraging the attendance by service providers. Since 2014 the National Passenger Services Conference has been organized in a structured manner, with one plenary session and break-out sessions focusing on issues of different partial areas. 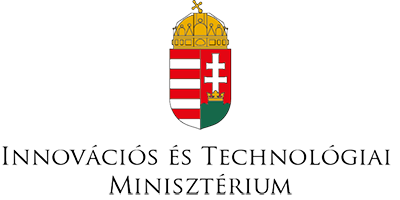 In 2017, in accordance with the requirements of domestic manufacturers generated by the then promising governmental program, a new session for the Hungarian bus manufacturers was introduced. The plenary session of the conference offers an excellent opportunity of learning current governmental plans and ideas and the three break-out sessions, in terms of their topics, concentrate on the entire structure of relations regarding manufacturing, distribution and service provision in the profession. The main organizer of the trade exhibition and conference protected by trademark is the Federation of National Private Transporters – NiT Hungary, the biggest interest representation organization in public road transport in Hungary. The event will be organized with the support of the ministry responsible for transportation, the prevailing deputy minister of state for transportation as well as with the participation of strategic partners such as many governmental organizations, institutes, civil organizations as well as associations and market operators. Why to choose the Hungarian BUSEXPO? In our modern world it is a must to keep up with technical developments. BUSEXPO offers a unique opportunity: it is the only domestic thematic ”trade day” in the bus sector while it is also the only exhibition in East-Europe which has been organized in the region for years and which offers a complete professional platform for the bus market of the region. It is the seventh year when our exhibition offers the opportunity to market operators to show their technical developments and new products to the profession and those interested, by demonstrating the most modern vehicles, parts, technologies, lubricants and IT-devices. At the same time, the parallel National Passenger Services Conference is an optimal site of providing authentic professional information, where the representatives of the government and the acknowledged specialists of the domestic market discuss future plans, developments, challenges and solutions. In the past seven years the event has undergone huge developments as while in 2015 it had 37 exhibitors and 1,500 visitors on 4,600 square meters, in 2018 it hosted 52 exhibitors, 3,850 visitors, and 220 participants in the conference on 6,000 square meters. 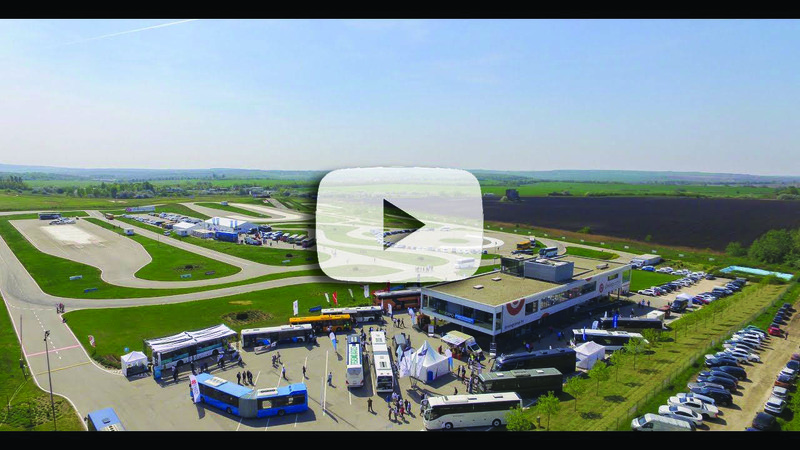 The former six BUSEXPO exhibitions took place on the driving test ground at Drivingcamp Hungary, Zsámbék. The venue offers an exhibition area expanding from year to year as well as a full infrastructure of facilities – including the opportunity of showing the vehicles in motion – thus guaranteeing the highest possible satisfaction of increasing requirements.